Before knowing how to choose a perfect insurance plan, it is crucial to know the risks associated with lack of insurance. The mighty Titanic story can help you to best understand the importance of insurance. When this unsinkable ship hit the Atlantic Ocean floor, it was a surprise to many people because no one ever imagined this would happen. Your business, property, and life are not immune to damage or loss- they can suffer the same fate. Insurance is important because it can save lives and property. In fact, it can be a boat that ferries you or your property to safety at last minute. But how can you choose the right insurance? 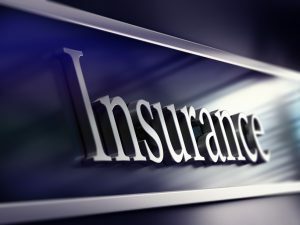 This article focuses on how to choose two types of insurance: business and auto insurances. Some of the factors to consider when choosing your business insurance include coverage and growth. People with small businesses tend to go for personal insurance providers because it is the easiest available option. However, these providers may expose your business to risks by failing to provide adequate coverage. You should choose a plan that adequately covers your business, including any business equipment. If your business is constantly generating profits, chances are that it will grow and become big with time. Will the plan you’re purchasing provide adequate coverage for your big business in future? Good business insurance should grow with your business. Every car must be insured. However, many car owners get it wrong when they fail to look at the details of the insurance policy they’re purchasing. To find the right policy for your car, review the coverage you’re buying to ensure your car is adequately covered against theft, accidents, and any other possible damage or loss. Remember, the risks increase with time, and so should your car coverage. Additionally, compare rates from various providers to ensure you get the best deal- you don’t have to overpay.